In the first of his Sentences on Conceptual Art (1969), Sol LeWitt affirmed: “Conceptual artists are mystics rather than rationalists. They leap to conclusions that logic cannot reach ”. The same concept resounds in a 1974 interview with the American artist, which we hear at the beginning of this documentary about his work and revolutionary creative philosophy. 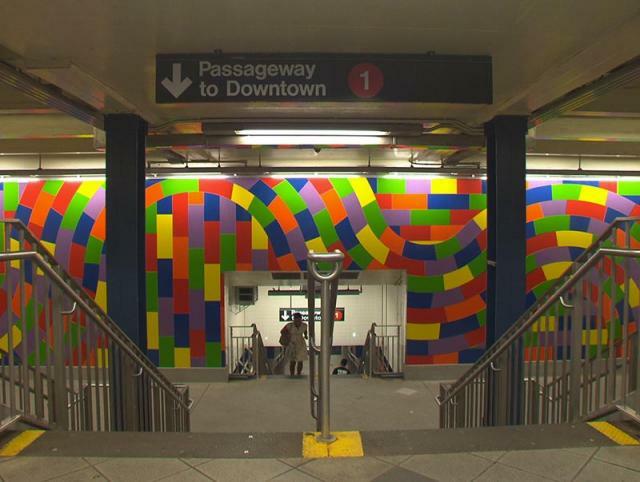 Artist and theorist of Minimalism and Conceptual Art, LeWitt didn’t want to be a public figure; he left behind few pictures of himself, but a great number of creations, including over a thousand Wall Drawings, which he began doing in the 1960s. Chris Teerink’s original tribute concentrates on these dense linear traces, geometric modulations, and chromatic variations and other means with which to transform space (the author had them executed by collaborators and assistants, whom he supplied with precise directions). We follow the execution of Wall Drawing # 801: Spiral in the Cupola of the Bonnefanten Museum in Maastricht (created for the first time in 1996). We also visit the biggest retrospective of Wall Drawings, mounted at Mass MoCA in North Adams, Massachusetts, and finally reach Spoleto, where LeWitt lived for a long time. Among the people the director meets his carpenter Fausto Scaramucci, who worked with the artist on his white structures, such as the ones in the Complex Forms series. Scaramucci is the custodian of the models of these pieces, and of one of the few existing photographs of LeWitt. Visually and musically hypnotic, accompanied by interviews with friends and colleagues (among them, Jan Dibbets and Lawrence Weiner), the film won Prix du meilleur portrait at the International Art Film Festival in Montreal, 2013; and the Filaf d’or at Festival International du Livre D’art & du Film in Perpignan. Born in Amersfoort, 1966, he studied at the Academy for Art & Industry in Enschede, and at Filmacademy in Amsterdam. Documentary filmmaker and editor, lives and works in Amsterdam.